Thanks again. The form was submitted successfully. We have just staged another successful quiz at Groombridge St Thomas’ School, raising a total of £344 for the Aquinoe Learning Centre. Dave Thompson, Jean’s husband, successfully completed his first duathlon on Sunday, September 15. 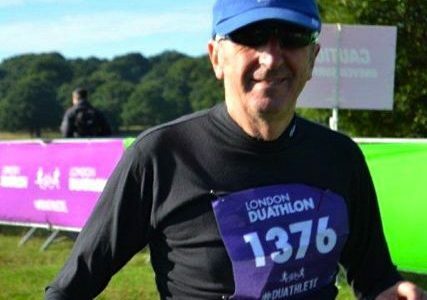 The event, in Richmond Park, London, comprised a 10-km run, followed by 22-km bike ride and finally another run, over 5 km.